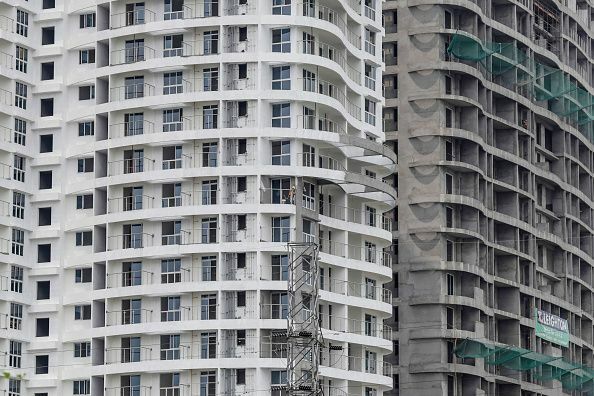 More than 2.45 lakh low-cost homes constructed all over India under various schemes to fulfil the 'housing for all by 2022' poll promise by Prime Minister Narendra Modi are lying vacant, reports The Economic Times. Almost 70 per cent of these vacant homes are in Gujarat, Maharashtra, Delhi, Madhya Pradesh and Andhra Pradesh. The homes were constructed under the Jawaharlal Nehru National Urban Renewal Mission (JNNURM) and Rajiv Awas Yojana (RAY) which had been merged under the Pradhan Mantri Awas Yojana scheme. The construction of 14 lakh such homes had been sanctioned, according to the latest statistics of the ministry of housing and urban poverty alleviation, but only eight lakh were built, of which 2.45 lakh houses are vacant. The Pradhan Mantri Awas Yojana (Housing for All) scheme aims to construct two crore low-cost houses, including 14 lakh slum redevelopment dwellings. Of the 2.45 lakh constructed but vacant homes, Maharashtra has the most (52,966), followed by Gujarat (29,126), Delhi (26,759), Madhya Pradesh (26,004) and Andhra Pradesh (23,688).